A film that fully encapsulates the cynical pessimism around the looming Handover to China. “Life is cheap but diamonds are expensive” is a line that could have come from any Raymond Chandler novel but instead is the line that completely defines this 1988 noir from Hong Kong. Heung Ming (Yuen Biao) is a cop looking to emigrate with his daughter to Canada. His wife is having an affair with corrupt cop Superintendent Liu (Charlie Chin) and when she attempts to blackmail him, he hires an assassin, Chiu Pai (Pat Ha), to have her killed. Framed for her murder, Heung Ming is forced to go into hiding with his daughter whilst attempting to clear his name, all the time being pursued by Liu and his team, who are eager to cover up their involvement. Heung Ming finds himself in an unlikely alliance with Chiu Pai, who is now also being hunted down by those that hired her. 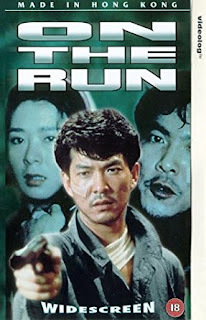 Surface expectations of a film called “On the Run” and staring Yuen Biao along with a supporting cast of great martial arts heavies would be that of a slam bang action movie, in the Hong Kong tradition. Instead, we get one of the finest neo-noirs of its generation with the majority of the cast playing against type. 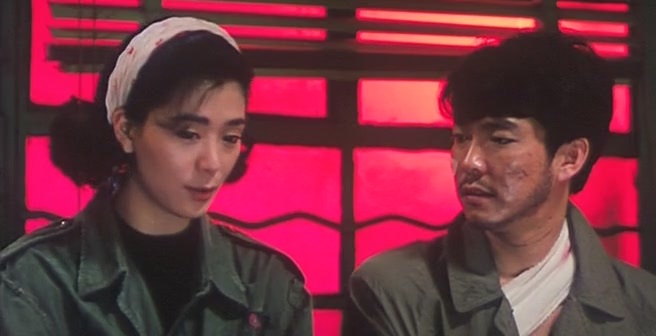 Yuen Biao, stripped of his trademark acrobatics, provides the emotional centre as the good man caught up in circumstances beyond his control, and is balanced by an outstanding performance by Pat Ha. Her impassive hitwoman gradually reveals the humanity inside, without ever losing control. It is she who delivers the review's opening line and it is this underplayed hesitant relationship that provides an emotional depth to a film that is, at times, unrelentingly cold. Charlie Chin, who is often cast as the ladies’ man on screen, reveals a darker edge with his sharp suited villain, ably supported by the trio of Lo Lieh, Phillip Kao Fei and the ever-twitchy Yuen Wah as his subordinates. Their final scene together is both blackly comic and brutal, entirely in keeping with the overall bleak tone of the piece. It’s the consistency of this tone that elevates the film into the higher ranks of Hong Kong noir. 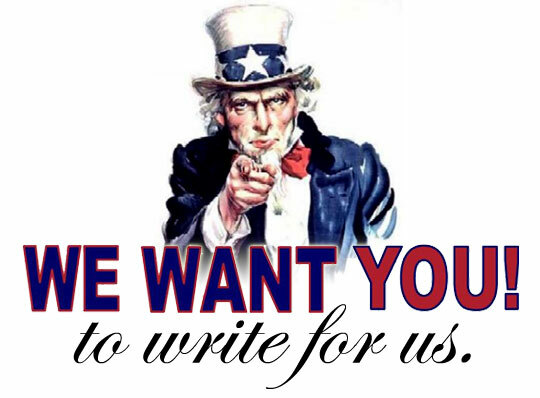 Throughout is the feeling of fatalism that pervades the best works of this genre. Each character is, by various means, trying to escape, but there is a sense that this will be impossible. The cynical nature of the film is best summed up when Heung Ming confronts Superintendent Liu. His anger is less about his wife’s death but that her death has removed his chance to emigrate. Director Alfred Cheung, whose career was predominantly in comedy, shows a deft hand and keeps it moving at a good pace. When the film does slow down towards the end for a couple of scenes with Heung Ming and Chiu Pai, they feel like an interlude from reality and that the escape is only temporary. The claustrophobia that is Hong Kong’s crowded streets and living space is a fertile ground for noir and the feeling of entrapment. This film is no exception and makes effective use of the neon lit locations. The violence at times is shockingly stark, even for a Hong Kong movie of its era, but it’s not over stylised and you feel the pain the characters feel, in a trait that becomes all the more powerful when one considers the storied action movie heritage of a number of actors of its cast. The result of all this an incredibly strong film that, whilst bleak, is never less than compelling and provides Yuen Biao with one of his finest roles.